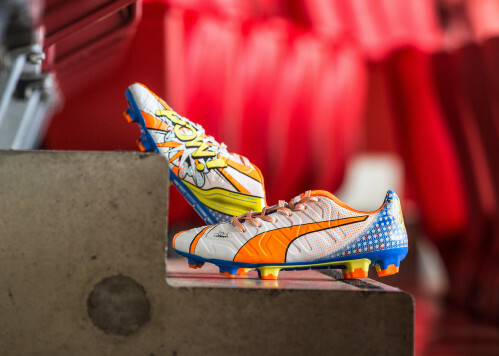 Having previously read on the blog of my love for the PUMA EvoPOWER, it should come as no surprise that I am stoked with their latest release. 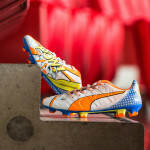 The sporting juggernaut keep producing the goods when it comes to my favourite brand of football boot and I thought it would be great to look at the recent evolution of the PUMA EvoPOWER. 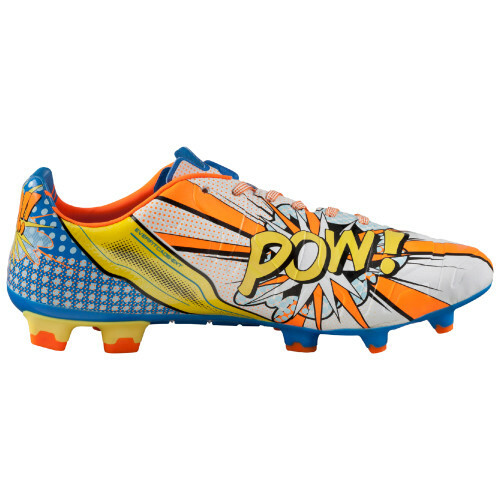 And now having introduced the range of EvoPOWER boots that PUMA have already produced, we present to you the new EvoPOWER 1.2 Colourway inspired by the Pop Art movement. True to the boot’s Power theme, the BAM!! and POW! prints express what the boot does to the game. 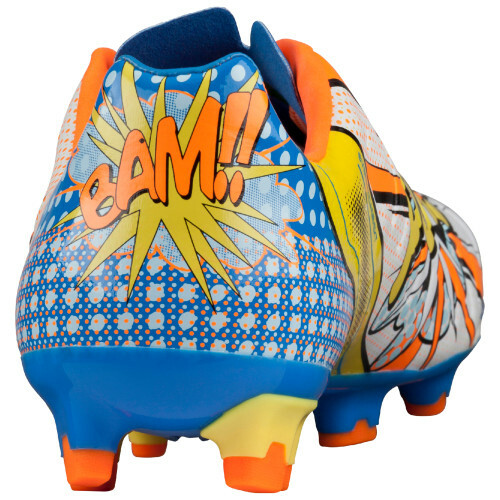 The new evoPOWER 1.2 football boot with the Pop Art graphics will be worn by Cesc Fàbregas, Mario Balotelli, Olivier Giroud, Yaya Touré and many more players when the international friendly matches kick off later today. 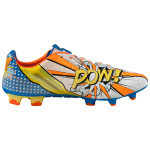 The evoPOWER 1.2 with its innovative technologies is made to provide power and accuracy when kicking the ball. Keeping the movement of a barefoot in mind, the boot is designed to provide maximum flexibility, which has an increased impact on the shooting power. The boot’s lightweight and super soft upper material stretches in a longitudinal direction allowing freedom of movement while maintaining support. Accuracy is further improved with the GripTex print that runs across the full length of the upper, providing enhanced ball control in all weather conditions. Added precision is created through the lightweight AccuFoam lining that provides a clean kicking surface.